We are greatful and thank each and every one of you for all of your love and support from the Bottom of our Hearts. We know that Goldy lives in each of us. We HEAR GOLDY LOUDLY! Goldy is thrilled! GOLDY LIVES. BORN TO BE WILD. #FOREVERWILD. Our sincere congratulations go out to #Drummer Extraordinaire #ALVINTAYLOR! Alvin is a SHINING STAR! 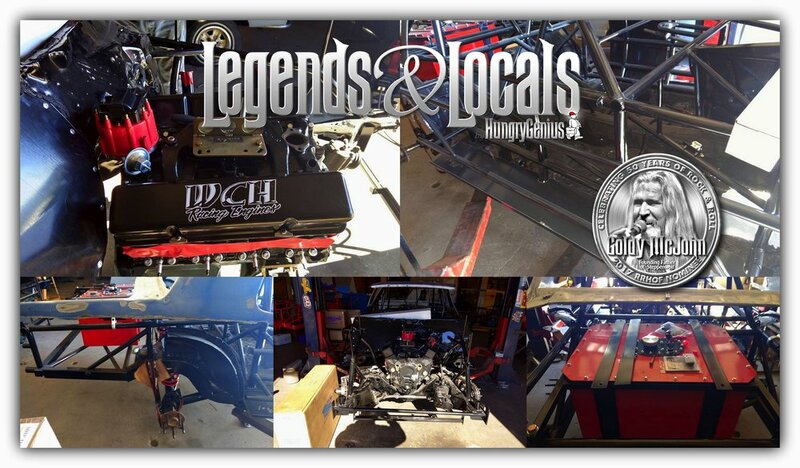 WE ARE VERY PROUD TO UNVEIL THE LEGENDS AND LOCALS GOLDY MCJOHN 'FOREVER WILD' IMCA RACE CAR AND RACE CAR DESIGN!! FOR THE 2018 TEXAS RACING SEASON! — with The Lawdy Mamas, Texas Harley-Davidson, Texas Roadhouse, Rock & Roll Hall of Fame, Disaster Resistant Restaurant Designs by HungryGenius, WCH Racing Engines, Destroyer Chassis, Big Rock Pub, Motion Sound Amplifiers, Harley-Davidsonand HungryGenius. On behalf of Sonja Goadsby and the Goadsby Family, we would like to take a moment and thank each and everyone of you for sending your thoughts, support, prayers and so much love during this very difficult time. We are all so very grateful. Thank you from the bottom of our hearts. Thank you. Lastly we wish to thank the #RockandRollHallofFame ~ Thank you all. The 2017 RRHOF Nomination of #Steppenwolf was extremely exciting for Goldy. He was as happy as a man can be. Thank you.